It’s that autumnal time of year in Europe, as many students return to ‘school’ – some to a higher education with a Victron Energy focus. 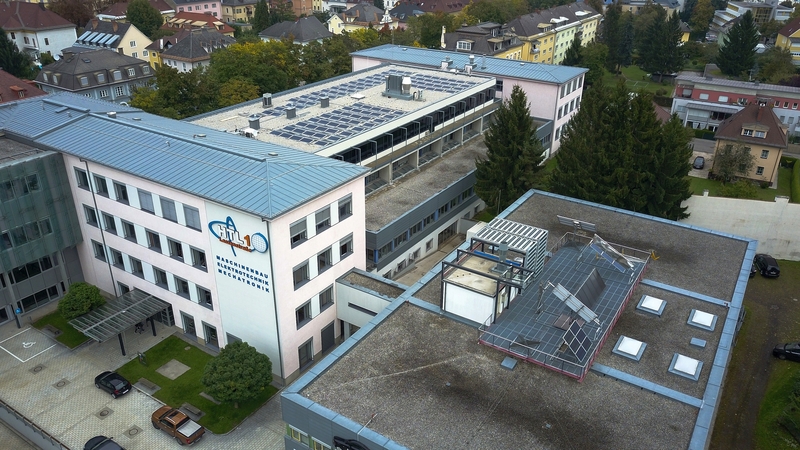 HTL1 Lastenstraße is a Higher Technical Institute in Klagenfurt, southern Austria . The school trains engineers in the fields of mechanical engineering , electrical engineering and mechatronics . It has around 34 workshops and laboratories as well as several competence centres. The focus is on e-mobility and eco-energy. In association with Austrian Victron Energy dealer E-BOX Off-Grid Power Systems, the school and headmaster Dr. Michael Archer have forged a partnership to utilise Victron Energy products for their varied educational program. Furthermore and thanks to Bianca Hartner of E-BOX, Dr. Archer kindly agreed to be interviewed – detailing the how and why they chose Victron Energy products. Here’s what he had to say. The text is translated verbatim from German. Can you tell us a little about the history of the school? The HTL 1 Klagenfurt can look back on a history of over 150 years. The school has been situated in the Lastenstraße since 1888. The building has been extended and adapted to new technologies over the years. Also the education and training has been adapted and enhanced to the changing times. In the three departments, electrical engineering, mechanical engineering and mechatronics, students acquire technical core competences as well as specialised knowledge in the forward-looking areas such as automotive engineering (in particular electric mobility), storage systems, environmental technologies, automation engineering and industry 4.0. Why did you decide to bring Victron Energy products into your school program? The HTL 1 Lastenstraße offers its students the best education possible. The school management decided to cooperate with Victron Energy because the company offers products of highest quality competences, especially in renewable energies. A further crucial aspect has been my own personal and positive experiences with Victron products since 2013. In addition, this innovative company convinced us with a great choice of devices of high quality, all available on an international level. The HTL 1 Klagenfurt Lastenstraße is looking forward with great pleasure to this school partnership with Victron Energy. What does this mean for the school program? 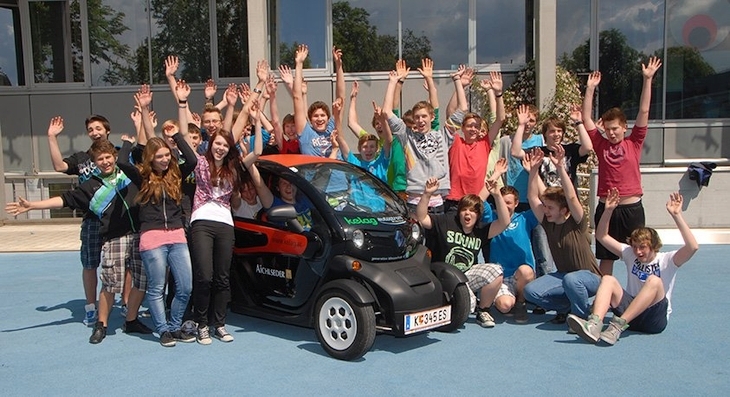 At the moment, the school is implementing the following key areas of training in the education of the students: e-mobility (electric mobility), storage technology, environmental technology and renewable energies. The cooperation with Victron is very helpful for this implementation. With the establishment of the energy management laboratory with the modern devices of Victron Energy, students can be trained with these up-to-date and innovative devices. In the year 2018 the energy management laboratory will start, which will also be the “Victron-Training-Cenre Austria South” for the whole Alpe-Adria area in the South of Austria. In the future, technicians of the private sector will be trained with devices of Victron in the HTL 1 Klagenfurt Lastenstraße, too. How many students follow the program, and for how long? Currently more than 1,100 students are taught and trained in the areas of electrical engineering, mechatronics and mechanical engineering at the HTL 1 Lastenstraße. The education and training lasts five years and our graduates receive with their school leaving examination (Reifeprüfung) and three years of practice the professional title “Ingenieur” (Ing.) which is equal to a bachelor’s degree. What about projects where you’ve already used Victron Energy products? Construction of a ‘Smartflower’ – Victron blog detailing what a Smartflower is. Installation of a number of photovoltaic systems and storage systems. A carport with photovoltaic-glass-modules which is used for e-car-sharing and equipped with e-charging-stations for e-bikes. Construction of a wind power station storage battery system which will help to optimise the energy efficiency of the school. #Ends interview with Dr. Michael Archer. It’s well known that Victron Energy have a passion to support the young engineers of tomorrow, as you may have seen in our various blogs about Robot Challenges and Solar Boat Racing – but that’s sponsorship and even though it involves a level of education and learning, it’s not degree engineering. 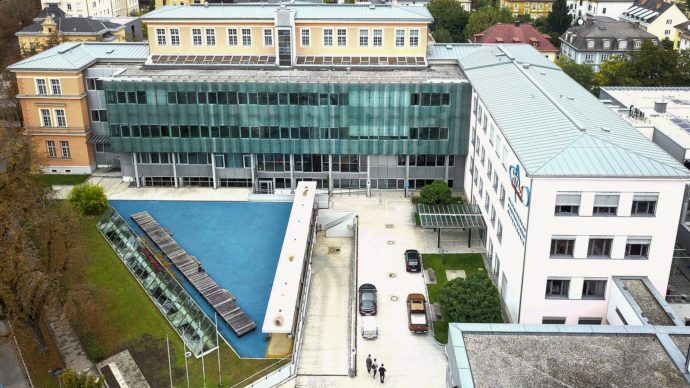 It is then and with great pleasure that Victron Energy are delighted to see their products being used in higher education at HTL1 Lastenstraße. Thanks to Bianca Hartner of E-BOX for the information used in this blog, Manfred Hartner for the time spent with Dr.Archer in helping specify equipment, Dr. Archer for the images used in this blog and Ruurd ten Brink of Victron Energy for making me aware of this project. You can read more about E-BOX in this blog.